Ella Jane Case was born on 6 September 1865.1 She was the daughter of Lewis Wesley Case and Angennette Bacon. Ella Jane Case married Arthur Frederick Tuller on 18 March 1889 at Hartford, Hartford Co., CT.
Marian Hooper married Henry Brooks Adams, son of Charles Francis Adams and Abigail Brown Brooks, on 27 June 1872.1 Marian Hooper died in 1885. [S752] Burke's Peerage Limited, Presidential Families, page 171. Victor Amadeus II was born on 14 May 1666. He was the son of Prince Charles Emmanuel II and Marie Jeanne Baptiste. Victor Amadeus II died on 31 October 1732 at age 66. Prince Victor Amadeus was born on 28 February 1690. He married Maria Vittoria Francesca (? ), daughter of Victor Amadeus II and Jeanne Baptiste d'Albert de Luynes, on 7 November 1714. Prince Victor Amadeus died on 4 April 1741 at age 51. Child of Miriam Matthews and Jacob Burdg Jr.
Juan Santiago Longoria was born circa 1815. He was the son of Pedro Jose Longoria. Juan Santiago Longoria died in 1892. Anna Holcombe was born in 1812. She was the daughter of James Alderman Holcombe and Dorcas Trumbull. Anna Holcombe died in 1829. [S676] Gary Boyd Roberts, Presidents 2009 Edition, Page 99. [S676] Gary Boyd Roberts, Presidents 2009 Edition, Page 100. [S676] Gary Boyd Roberts, Presidents 2009 Edition, Page 101. Child of Joanna Slocum and Caleb Carr Jr.
[S710] Gary Boyd Roberts RD600, page 881. Ming-Yang Ma was born in 1889. He died in 1944. Child of Anne Almy and John Greene Jr.
[S182] Social Security Death Index (on-line), Ancestry.com, SSDI, Ancestry.com, SSAN 455-18-2685. Rose Nettie Wise was born in 1880. She married John William Murray in 1904. Rose Nettie Wise died in 1941. Mary L. Campbell was born on 22 February 1854.1 She was the daughter of John Keyes Campbell and Betsey Sheffield.1 Mary L. Campbell married Charles Arthur Moore. [S84] Benjamin Woodbridge Dwight Elder John Strong, page 452. [S182] Social Security Death Index (on-line), Ancestry.com, SSDI, Ancestry.com, SSAN 142-22-7095. [S84] Benjamin Woodbridge Dwight Elder John Strong, page 451. Thomas Marshall was born on 2 April 1730 at Washington Parish, Westmoreland Co., VA. He married Mary Randolph Keith, daughter of James Keith and Mary Isham Randolph, in 1754 at Fauquier Co., VA. Thomas Marshall died on 22 June 1802 at Washington, Mason Co., KY, at age 72. 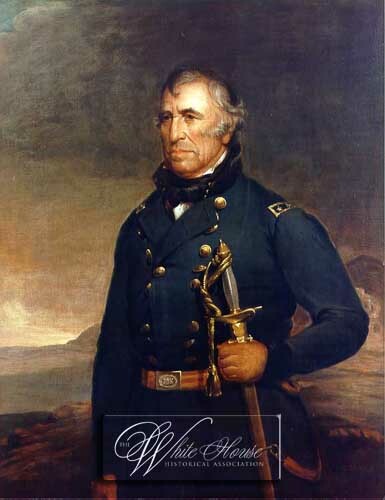 President Zachary Taylor was born on 24 November 1784 at Montebello, Orange Co., VA.1 He was the son of Richard Taylor and Sarah Dabney Strother.1 President Zachary Taylor died on 9 July 1850 at The White House, Washington, DC, at age 65; of gastroenteritis.1 He was buried at Zachary Taylor National Cemetery, Louisville, Jefferson Co, KY.